Jansons makes an explosive debut on Yousefs' Circus Recordings. 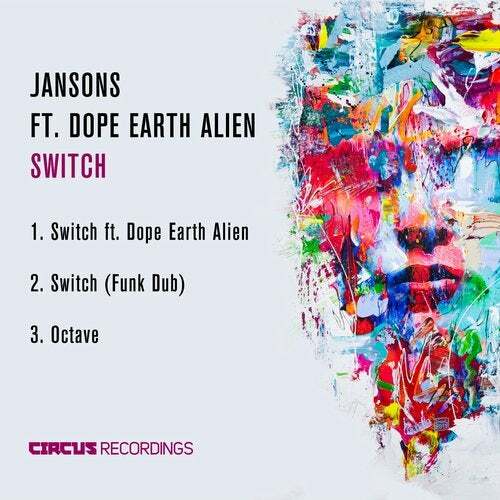 'Switch' the title track from the EP is set round a heavy tribal beat. Driving hats, beautifully swung analogue drum programming and percussion develop an incredible groove, upon which the boisterous rhythmic vocals of Dope Earth Alien lie. The 'Funk Dub' is a different beast altogether. Drenched in attitude, this rework is a wall to wall sweatbox of joyful energy. With massive nods to the original tech-house scene we all know and love, it's bound to get you moving on another level. Jansons seals the deal on the label by providing a wonderfully rich and pacey closing track in 'Octave'. A warm bouncing bass sits at the heart, accompanied by layered chords stabs which grow as the track moves into anthem territory. A pure smile-inducing number.